The global healthcare information systems market is witnessing growth with the increase in the adoption of health and fitness based mobile applications. These applications can be used to record and update patient health data such as heart rate, glucose level, and cholesterol level which can later be accessed by doctors or clinics anywhere. Analysts forecast global healthcare information systems market to grow at a CAGR of 8.43% over the period 2014-2019. According to the Global Healthcare Information Systems Market 2015-2019 report, advances in technology have led to the development of computed radiography and digital radiography systems with enhanced features such as flat panel detectors, improved automation to help radiologists gain a better image quality for efficient diagnosis. The following companies are the key players in the Global Healthcare Information Systems Market: Agfa Gevaert, GE Healthcare, McKesson, Philips Healthcare, and Siemens Healthcare. Other Prominent Vendors in the market are: Carestream Health, Cerner, Dell, InterSystems, Epic Systems, 3M Health, Merge Healthcare, and NextGen Healthcare. The report covers the current scenario and the growth prospects of the global healthcare information systems market for the period of 2015-2019. To calculate the market size, the report considers revenue generated from the sales of the following systems: hospital information systems, laboratory information systems, and pharmacy information systems. Segmentation by application and analysis of the healthcare information systems market cover Hospital information system, Pharmacy information system and Laboratory information system. The pharmacy information system is the second largest segment globally and is further classified into inpatient and outpatient pharmacy information systems. These systems help doctors to access patient information to ensure accurate and safe medications during the treatment process. 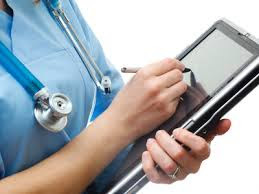 The report, Global Healthcare Information Systems Market 2015-2019, says adoption of information systems is high in the Americas, especially in the US, due to the increase in implementation of IT services in the healthcare sector. Healthcare laws such as Patient Protection and Affordable Care Act commonly known as Obamacare, provide affordable access to health insurance plans for American citizens through subsidies. Most of these systems are being extensively used in Massachusetts, Arizona, Colorado, New York, and Washington D.C regions in the US. 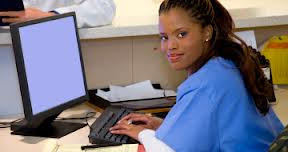 The analysts of the report forecast global healthcare IT outsourcing market to grow at a CAGR of 9.17% over the period 2014-2019. The following companies are the key players in the Global Healthcare IT Outsourcing Market: Accenture, Cognizant Technology Solutions Corporation, TCS, IBM and Infosys. 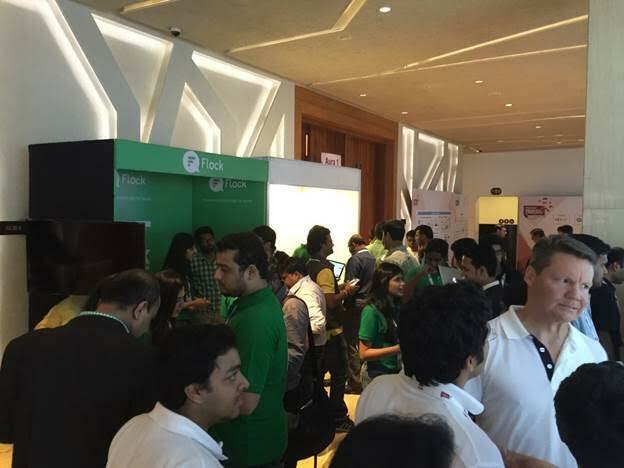 Other Prominent Vendors in the market are: CGI, Dell, Fujitsu, HCL, iGATE, Hexaware, HP, L&T, Syntel, and Tech Mahindra. Prime Minister Narendra Modi has laid the foundation stone of Shri Venkateswara Mobile and Electronics Manufacturing Hub in Tirupati, the country’s first mobile manufacturing electronics cluster. Union Ministers M Venkaiah Naidu, Ashok Gajapathi Raju and Nirmala Sitaraman, Governor ESL Narasimhan and Andhra Pradesh Chief Minister N Chandrababu Naidu were present on this occasion. The Hub is expected to create more than 10,000 jobs within a year and contribute at least 5 per cent of the all-India target of 15 lakh jobs by the year 2019, a press release by Indian Cellular Association had said earlier. Foxconn has already started operations in Andhra Pradesh for manufacturing brands such as Xiomi and Gionee. Other important brands like Micromax, UTL (Karbonn) and Celkon would be starting their manufacturing operations soon, the release further said. “The previous government has done a lot of such things and a lot of time and energy of this government is going into undoing and setting them right. 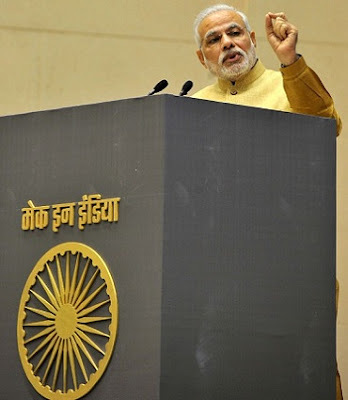 But I assure Centre’s support to both the states and the Government of India will always stand by and support you,” said Modi. The Prime Minister said he along with Chief Minister Chandrababu Naidu will fulfil the dreams and aspirations of Andhra Pradesh and take it to greater heights by expediting the development process. Modi, who brought soil from Parliament House complex in Delhi and water from Yamuna river to mix with the soil of Amaravati as a symbolic gesture, said the action sends out a message that “Delhi has come to Amaravati”. “This symbol has a message and strength that Delhi will always stand and move shoulder to shoulder in Andhra’s journey to touch newer heights,” he said. 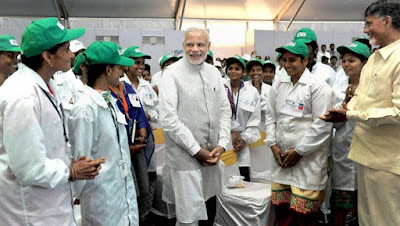 Modi said Centre has taken a slew of measures in the area of human resources in the state with emphasis on IIT, IIM, IIIT (Indian Institute of Information Technology), AIIMS, NIT, Indian Institute of Science, education and research, Central and Petroleum University. The talent and brilliance of both the states have the potential to turn them into centres of innovation, he stressed. Observing that the youth of Andhra Pradesh have made a name for themselves as professionals on foreign shores, he said the youth can take advantage of the Centre’s startup initiative. “Be it Andhra Pradesh and Telangana, their soul is Telugu. They are its wings and development and fast progress of both will help enhance the country’s image. 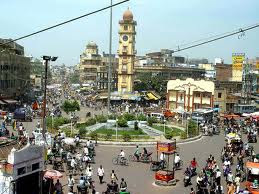 This land has the biggest potential to benefit from Government of India’s Start-Up Initiative,” he said. “I am confident that in coming days Andhra Pradesh will lead a new economic revolution in the country which will be known as youth centric economic revolution,” he said. 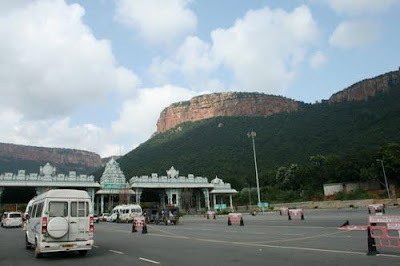 In his address, the Chief Minister observed that neighbouring states of Tamil Nadu, Karnataka and Telangana have revenue generating capital cities and urged the Prime Minister to hand-hold Andhra Pradesh till it achieved a level-playing field with others. In the face of the global $1.2 trillion e-commerce industry, retail brands are in need of a way to evolve a new physical shopping experience Due to beacons, technology is changing the way customers shop. In India, Interaction One, a Bangalore-based start-up focused on innovation and building memorable mobile experiences, is set to transform the retail and lifestyle industry with the launch of Mobmerry that is using beacons to window shop your city. Mobmerry, the app hosted on Amazon Web Services (AWS), cloud platform helps connects retailers to consumers through product discovery, real-time notifications of new products, deals, and discounts in the consumers’ immediate area. Interaction One will be the first company to deploy over 1000 beacons across Bangalore, making it one of the largest beacon deployments in India. This will make Bangalore the first city to be lit up and connected virtually. In fact, Beacon technology, which is used by retailers to ping promotional messages to customers’ smartphones, is being incorporated into shopping malls. The beacons are used to ping shoppers with promotions and discounts and help retailers get a grasp on who’s shopping and how often, and improve customer experience. According to a report published by SAP, The Internet of Things (IoT) will generate US $329 billion of revenue in the retail sector by 2018. Retail is expected to be one of the biggest sectors benefitting from the rise of IoT. The future of the retail sector is in Bluetooth Low Energy (BLE) applications i.e. beacons. The app is available free for android and iOS platforms. “Mobmerry has managed the initial funds through bootstrap of $0.5 million from the parent company but as we move on, we would require VC funding as plan to Pan-Bangalore with an investment of $3-4 million over the next two years and besides also expand Pan-India with $20 million investment during the same period,” remarks Prasad. “We are already in talks with several major retailers like JC Penny, Macy’s and Target Corporation in India,” adds Prasad. For merchants, beacon technology will prove invaluable. Beacons provide businesses with large amounts of available data such as how long consumers spend at certain locations, busiest days of the week, and number of people who walk into the location per day. This information can help merchants make tweaks and changes based on the data collected to make their business more efficient. With 30 odd stores onboarded in Indiranagar, Bangalore, such as Aviraté, Celio, Guess, Jack & Jones, Kazo, Lee, Vans, Vero Moda, Wrangler to name a few. Mobmerry is on its way to providing technology and revolutionising the retail industry in India. Mobmerry has also partnered with Virtuous Retail, an institutionally owned developer-operator of community-oriented premium Lifestyle Shopping Centres for its latest flagship development, VR Bengaluru on Whitefield main road. Mobmerry will deploy over 300 Beacons across the centre to enhance shopping experiences for VR Bengaluru’s patrons. 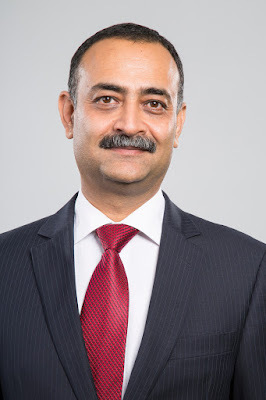 Indus Towers, the world’s largest telecom tower company, today announced the appointment of Bimal Dayal as the Chief Executive Officer-Designate with immediate effect. He succeeds B.S. Shantharaju who has been with Indus Towers for over six years and will be retiring with effect from 31st March 2016. During the next six months, Shantha will smoothly transition Bimal to the new role. Bimal has been associated with Indus Towers since 2010 as the Chief Operating Officer (COO). Navratna defence PSU Bharat Electronics Limited (BEL) has paid a total dividend of 292% for 2014-15. 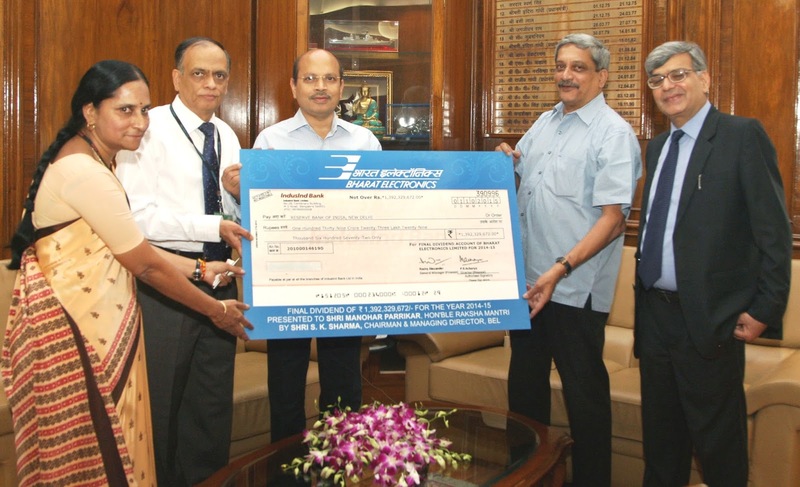 S K Sharma, Chairman and Managing Director, BEL, presented the 232% final dividend cheque of Rs.139,23,29,672 (Rupees one hundred and thirty nine crore twenty three lakh twenty nine thousand six hundred and seventy two only), for 2014-15 to the Defence Minister, Manohar Parrikar, at New Delhi today (Wednesday, October 21, 2015). This is the dividend payable to the Government of India on the shares held by the President of India and Government nominees. In February 2015, BEL had paid 60% Interim Dividend for the year 2014-15. 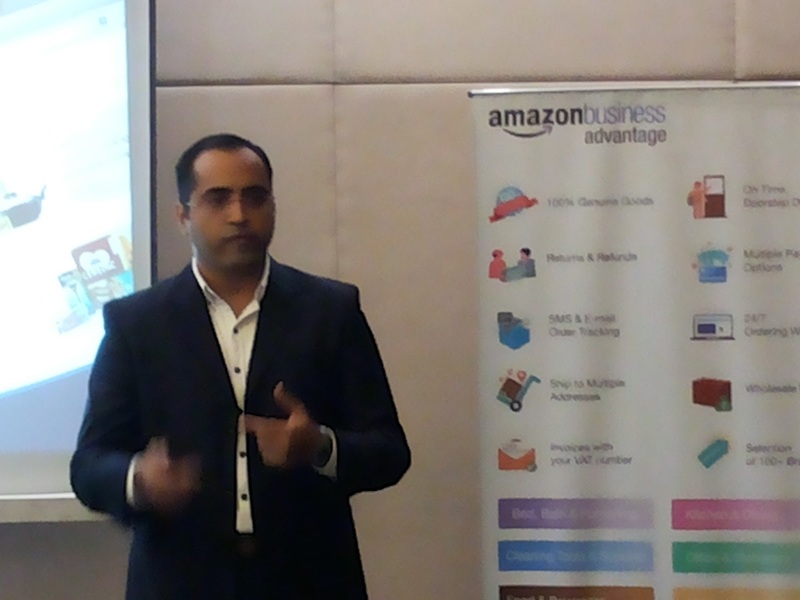 Amazonbusiness.in has announced the expansion of its offering in Karnataka. Started by Amazon in May 2015 as an invite only platform, Amazonbusiness.in has now opened registration for membership. Over the last few months, Amazon business has extended its service from a few pin codes to 113 pin codes across Bengaluru and has begun delivering to Mangaluru. A members-only website, AmazonBusiness.in is specifically designed to help small and medium businesses, such as offices, entrepreneurs, department stores, kirana stores, clinics, hospitals, hotels and restaurants, buy the products they need online at wholesale prices and in bulk quantities. In keeping with the festive spirit, Amazonbusiness.in, now has an exhaustive selection with thousands of products from hundreds of brands to choose from. The categories offered include Health and Personal Care; Food and Beverages; Cleaning Tools and Supplies; Kitchen and Dining; Bed, Bath and Furnishing; Office and Stationery; Gift Cards and Computers and Accessories. 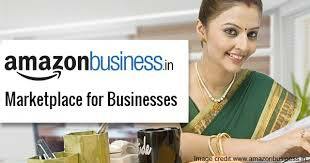 Amazonbusiness.in offers a purpose built experience for small and medium businesses and provides wholesale prices, bulk quantities, tax invoices, assisted shopping and credit solution from ICICI and HDFC that offers interest-free credit for up to 48 days. Customers can order from anywhere, at any time of the day and get FREE door-step delivery within 1 to 2 business days in Bengaluru and 2 to 4 business days in Mangaluru. Customers need to place a minimum order of Rs. 1000 and can pay using NEFT/RTGS, Credit/Debit Card and Net banking. Brands available on Amazonbusiness.in the Health and Personal Care category include Colgate, Dettol, Johnson’s, Sunsilk, Pampers, Olay and more. In the Home and Kitchen department, there are brands like Bombay Dyeing, Ocean, Signora Ware, Lock & Lock, Corelle, and Princeware. Brands like Cello, Classmate, Reynolds, JK, Parker and many others are featured in Offices and Stationery section. InstaCab, a venture founded by IIT KGP alumni, is an InterCity cab aggregator has rebranded the product and services to new brand name: Roder.in. Roder.in aims to make over-expensive outstation cab travel affordable and accessible to everyone. Moreover, Roder.in has expanded the services to 12 more cities in North India. 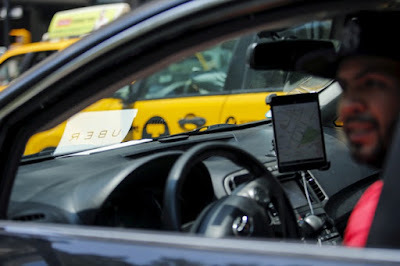 The venture of the parent company, Vecto Technologies Pvt Ltd,started off as a marketplace for taxi industry, the first product was launched in Aug 2014. After generating GMV of Rs 1 million in just under 4 months, the team identified serious problems in the outstation taxi industry, which had been neglected by the major players in the market. They aim to eliminate “the return-fare” concept from the market by optimizing resources so that customer only pays for the distance travelled. With a fleet of 2500 drivers, does not own cars, its“one-way rates” operations are spread across more than 350 routes covering North India (increase from 32 routes last month), providing good connectivity with well-maintained cabs at affordable prices. Roder.in has expanded and started accepting booking requests from the following cities: Chandigarh, Amritsar, Ludhiana, Jalandhar, Agra, Dehradun, Rishikesh, Haridwar, Jaipur, Ajmer, Pushkar, Kanpur, including Delhi-NCR. Roder.in will continue expansion to new markets in North India for the next quarter to create a wide network of cabs, with which customers will be able to avail one-way rates to travel between cities across North India. Roder.in, offers three types of cars: mainly hatchbacks, sedans and multi-utility vehicles. With this, the initial months of this year from January to October has seen over 1500 outstation trips with average size being to the tune of 5,000, generating a GMV of around Rs 8 million. Roder.in is a technology platform and aggregates cabs for outstation travels. They maintain and optimize fleets across cities in a particular region to provide one-way rates to the customers. They charge commission per ride provided to the operators. They focus heavily on driver verification and cab verification to ensure customer safety.